Looking forward to spending the weekend eating lots of chocolate and smelling flowers! 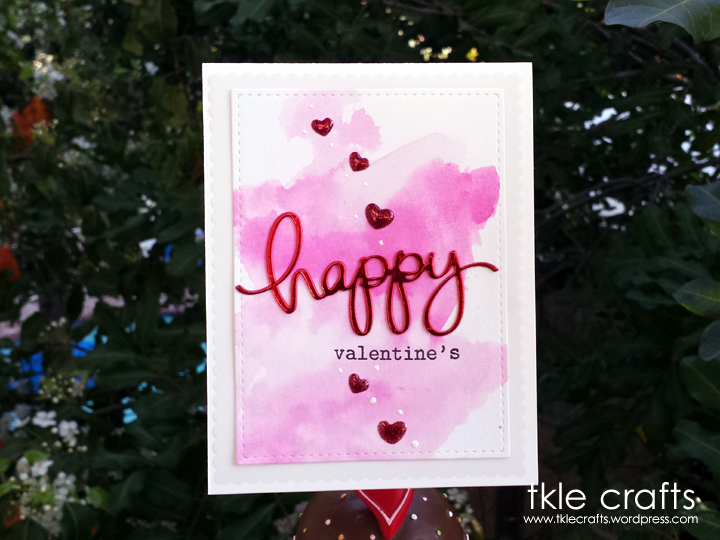 I am back with some fun watercolors again and I am still crazy about this “happy” sentiment die. 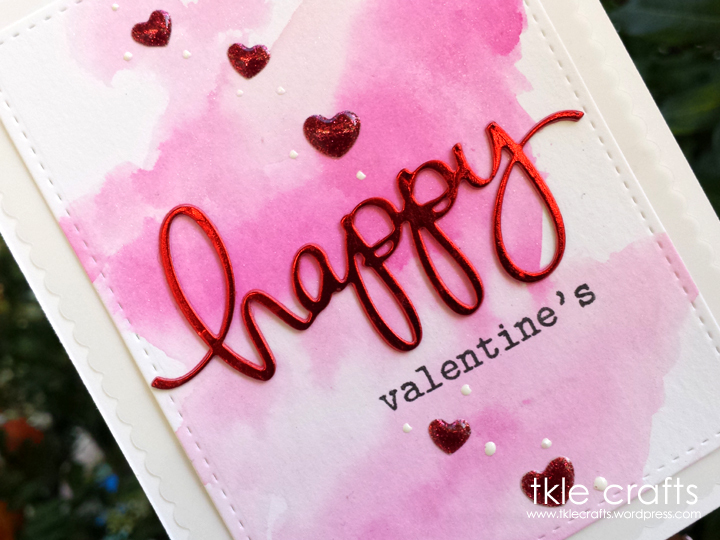 I added multiple layers to make the happy sentiment pop up! 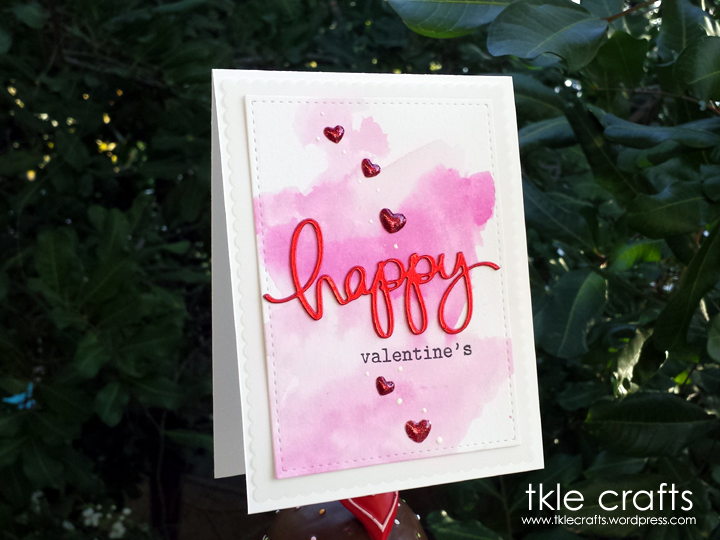 The top layer was red foil paper which looks so great for a valentine’s day card. Hope you are spending a wonderful weekend with your loved ones!